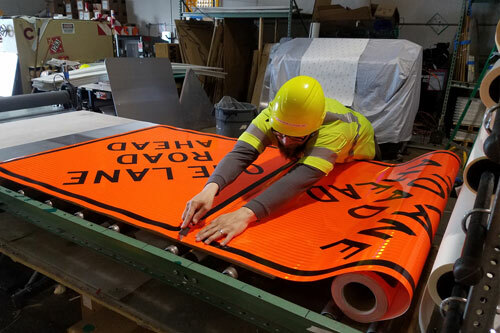 Sign Manufacturing and Installation | RoadSafe Traffic Systems, Inc.
RoadSafe specializes in the manufacture of signs for the road construction industry and can serve all your needs with standard and custom signage. 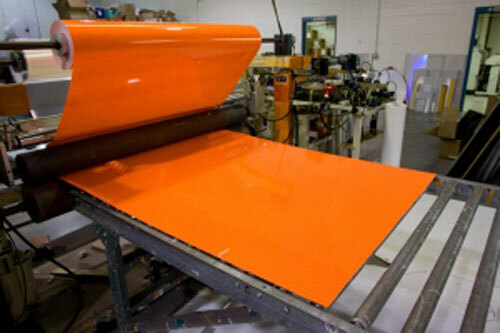 Operating from our state-of the-art-facility, we can create signage using all types of reflective sheeting and substrates. 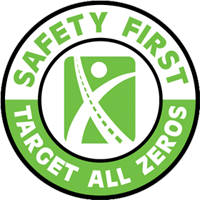 RoadSafe can make custom signage for monument and entry markers, builder and site identification signs, routed signs, 3-D signs, sandblasted signs and wood and solid surface inlay signs. We also install temporary and permanent signage that meets local government agency requirements and private property specifications. As part of our installation service, RoadSafe will supply posts, hardware and banding. Large overhead guide signing projects are available from some branches. Please check with your local RoadSafe office to learn more about the installation services that they offer. Visit our online Sign Shop to place your order or contact us for your next standard or custom sign project.